Adebunmi Elizabeth Adekanye (Nee Ajisafe) was born on 22nd June, 1961, Lagos Island in Lagos State, Nigeria. 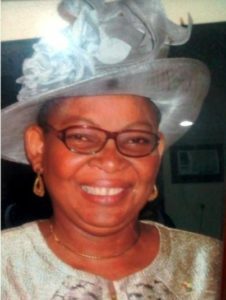 She attended St. Matthias Catholic School, Lafiaji Lagos for her primary education and Methodist Girls High School, Lagos for her secondary education 1973-1978. She then proceeded to the Federal School of Arts and Science, Victoria Island, Lagos between 1978-1980 for her Higher School Certificate-Advanced level, after which she was admitted to the University of Ibadan (UI) where she bagged a Bachelor of Science, B.sc (Hons) in Sociology. She also holds a Master in Public Administration (MPA) from Obafemi Awolowo University. Ile-Ife Osun State in 1994. Bureau, Ministry of Justice, Public Service Office, Ministry of Physical Planning and Urban Development, Agriculture and Cooperatives, Commerce and Industry and Tourism and Inter Governmental Relations, where she had proved her worth as an administrator per excellence. In August 2014, she was deployed to the Office of Drainage Services, Ministry of the Environment as Director, Administration and Human Resource, where she rose to the peak of the Civil Service, with her appointment as a Permanent Secretary on 3rd August, 2015 and was deployed to the newly created Office of Civic Engagement. She was the Permanent Secretary, Ministry of Special Duties and Inter Governmental Relation from February, 2016 to November, 2017. Presently, She is the Permanent Secretary, Ministry of Education. ELECTION POSTPONEMENT- LASG REVIEW SCHOOL CALENDAR.